Former Olympic rower Alex Story was the guest speaker at the Colne Valley Conservative Association Patron’s lunch held at the Olive Branch restaurant near Marsden. Alex represented Britain at the Olympic Games in 1996, Oxford and Cambridge Boat Race twice in 1997 and 1998, and was indoor European Champion and World Record holder with Sir Steven Redgrave and Sir Matthew Pinsent in 1994. 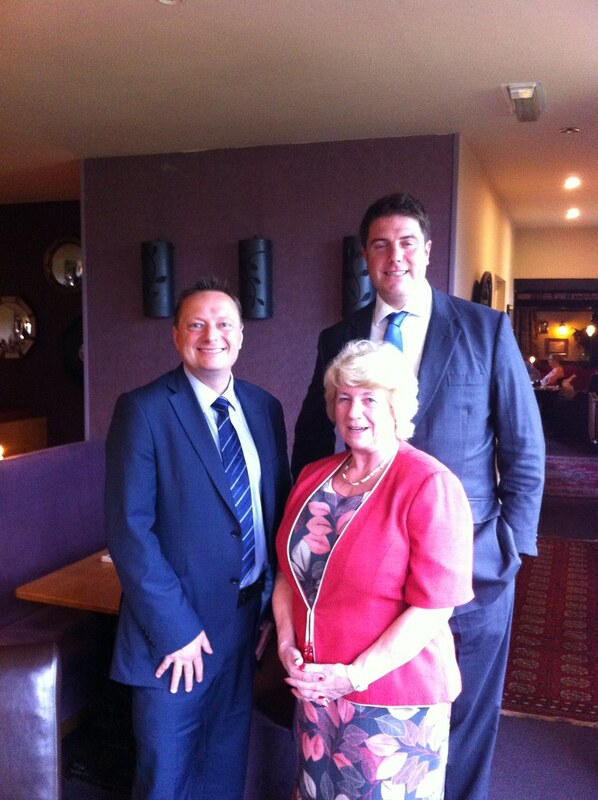 Alex is pictured with Jason and Jackie Firth, Chairman of the Patron’s Club.